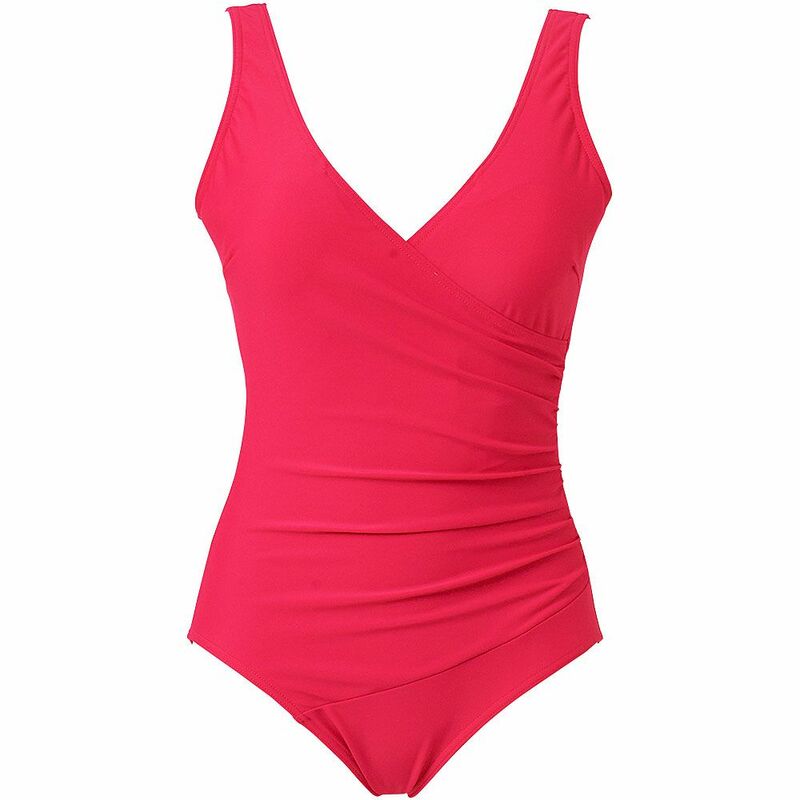 Inner bust support, with removable soft cups and full front and back lining for tummy control and all round softness and comfort add to the figure shaping qualities of this elegant swimsuit. This lovely swim suit crossover style is available in coral, mauve and black but also in a number of colours an d beautiful patterns. If this style is for you then take a look at the range of gorgeous colours and patterns we have. You will be delighted!